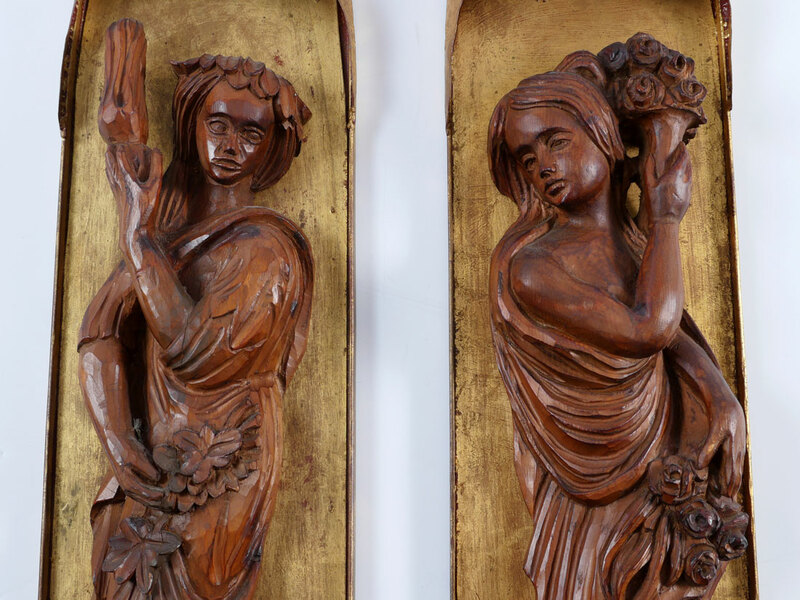 PAIR ITALIAN METAL & CARVED WOOD WALL HANGINGS: Pair of similar but not identical carved wood sculptures of women, affixed to gold decorated metal casings. Older Made in Italy paper tag in back. 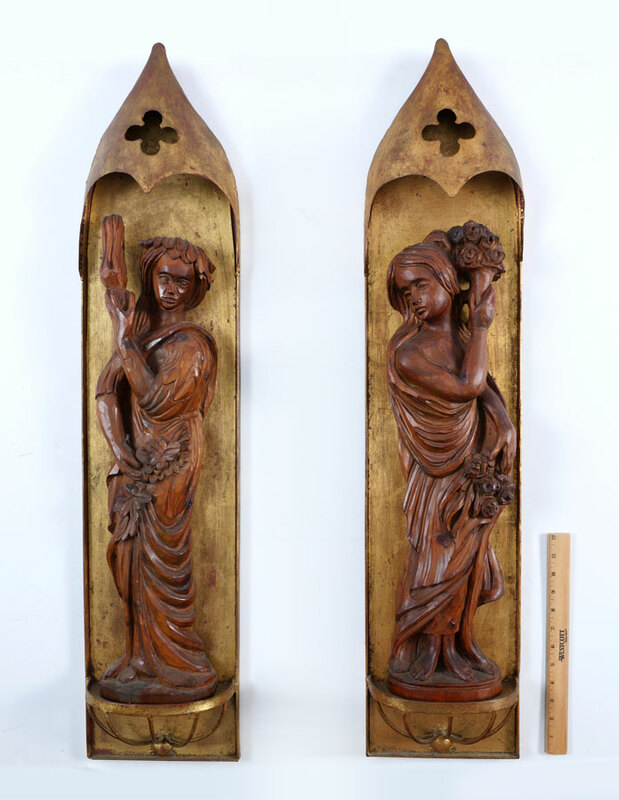 Overall 38 1/4'' h. x 8 1/2'' x 3 1/2''.